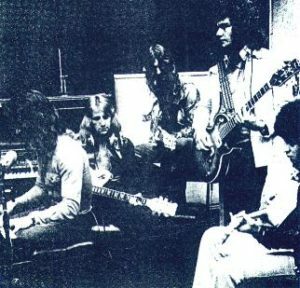 All Dressed Up And No Place To Go was the lead track on what was called the Rock ‘n Roll EP and the follow-up to Long Legged Woman Dressed In Black in 1974. Despite not charting, it was a superb collection of Mungo Jerry rock ‘n roll at its best. Tracks: All Dressed Up And No Place To Go, Shake ’til I Break/Too Fast To Live Too Young To Die, Burnin’ Up. 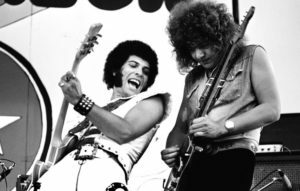 Ray Dorset said… “Most of the previous Mungo singles had been maxi’s and it was Barry’s idea to make an EP, as a throw back to the sixties rock ‘n’ roll records. “I had built up a good following with the rock ‘n roll fans with songs like Little Miss Hipshake and I was also showing some appreciation as to the dedicated followers that we had pre-Mungo when we used to play the rock ‘n’ roll clubs like the one at the Northcote Arms in Southall”. Good value for fans this one, being in the form of an E.P, stands for extended play, a single containing more than two numbers. There are four on this one, the other three being Shake ‘Til I Break, Too Fast To Live And Too Young To Die and Burnin’ Up. The covers says rock’n roll with Mungo Jerry and a bit of a surprise. Lots of harmonies and more of a funkier sound, obviously. Wouldn’t have thought it was quite right as single material, more of an album track, but it’s alright for all that. Maybe Ray Dorset was born ten years too late. He’s got one of the most distinctive voices in the business and is a great rock’n roll singer, probably the only modern-day revialist who sounds truly authentic. This is one of those maxi-singles that Mungo Jerry seems to specialise in, for in addition to the title track, there’s Shake ‘Til I Break, Too Fast To Live And Too Young To Die and Burnin’ Up. They’re all out and out rockers and it’s good value if you want a knees-up with granny in the kitchen. I suspect however, that Teds and Roy Wood apart, everyone’s a bit bored with the rock’n roll nostalgia bit, and the actual songs here aren’t that strong to revive the revival. 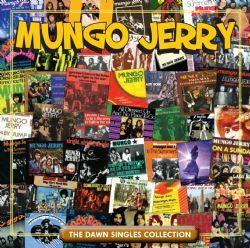 Available through CHERRY RED RECORDS, is a collection of all of the A and B-sides of all of Mungo Jerry’s singles for the highly collectable Dawn record label, including all four tracks from the Rock ‘n Roll EP – All Dressed Up And No Place To Go, Burnin’ Up, Too Fast To Live, Too Young To Die and Shake ’til I Break. It also includes the muti-million seller, In The Summertime, Baby Jump, Lady Rose, and more.